Don't do sadness! 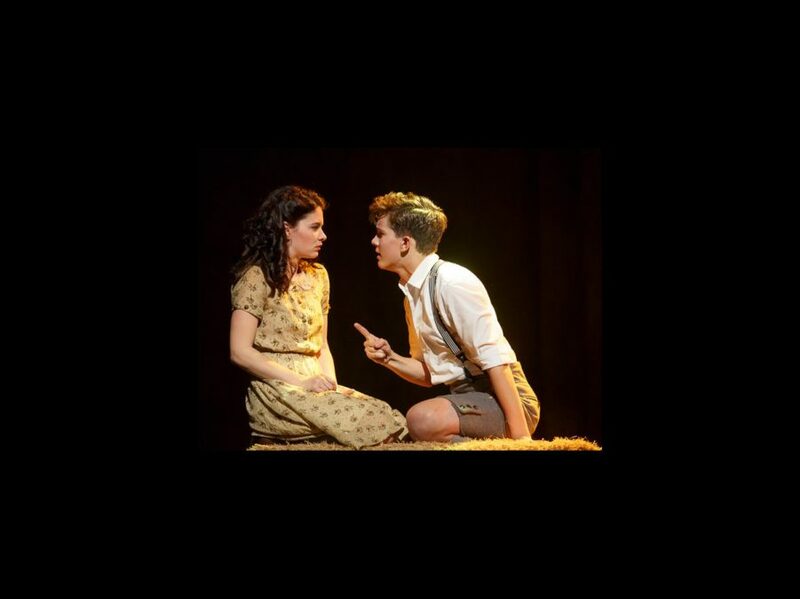 Deaf West’s revival of Spring Awakening will head on a national tour in 2017. The Broadway production is currently playing a limited engagement at the Brooks Atkinson Theatre through January 24, 2016. Starring Oscar winner Marlee Matlin, along with Broadway.com Audience Choice Award winners Krysta Rodriguez and Andy Mientus and more, Michael Arden’s production previously played two different engagements in Los Angeles. The staging incorporates American Sign Language with the dialogue, as select characters are portrayed as deaf, with additional performers providing their voices. Spring Awakening, featuring music by Duncan Sheik and a book and lyrics by Steven Sater, is based on Frank Wedekind’s 1891 play by the same name. It follows a group of teenagers as they navigate through their sexual and intellectual blossoming, with varying degrees of support from adult figures in their lives. The original production won eight Tony Awards in 2007 including Best Musical. The cast also includes Camryn Manheim, Patrick Page, Russell Harvard as well as over a dozen newcomers, including Austin McKenzie as Melchior, Sandra Mae Frank as Wendla, Katie Boeck as the voice of Wendla, Daniel Durant as Moritz and Alex Boniello as the voice of Moritz.